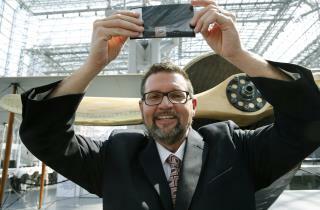 (Newser) – A rare 1918 US postage stamp featuring an upside-down plane that was stolen six decades ago and ended up in Northern Ireland was returned to its American owner on Thursday. Keelin O'Neill, who inherited the stamp several years ago from his grandfather, turned it over at the World Stamp Show in New York to the American Philatelic Research Library and collected a $50,000 reward in the process. But the mystery surrounding the Inverted Jenny remains: Who stole it and three other such stamps at a 1955 convention in Virginia? Two of the other stamps were recovered years ago, and the fourth remains missing. "I had no idea about the history and importance of the stamp until very recently," says O'Neill. "I have to say, it's quite fascinating, and I'm excited to learn more." Too bad some idiot broke up that four stamp block - it'd be worth exponentially more than just the singles. I did the Inverted Jenny w/ a hippie chick I met on a mountain hike a couple of weeks ago.